Hello! My name is Bartholomew Boeckenstedt and I am a artisanal master carpenter with 25 years of experience. I am a bit of a perfectionist. My company is called The Craftsmen Service Company, LLC and we specialize in flooring installation. 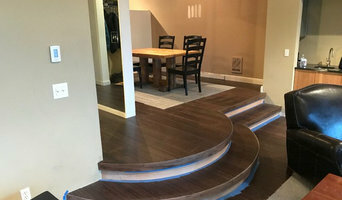 We offer the highest quality installation at a very competitive price on engineered, laminate & luxury vinyl planking, but our specialty is tongue & groove, pre-finished, nailed-down hardwood installation. We really care about doing quality work and craftsmanship & giving our customers a high quality installation. We look forward to working with you on your next flooring project! We enjoy seeing people's reactions to the work we do. It makes us happy to see our clients happy. We love the fact that we get to work on people’s homes, and it is quite an honor. We also love meeting new people and usually develop ongoing business relationships with our customers. We enjoy becoming their go-to guys to get their flooring projects done right. 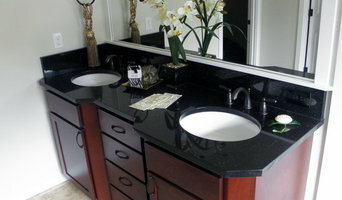 We are your one-stop shop for flooring, counters, windows, remodels, new construction and more! Let Abbey Carpet & Floor help you pick the right flooring for your home with our expert sales and design staff. With 54 years in the business Abbey Carpet & Floor will make your dreams come true in your home. 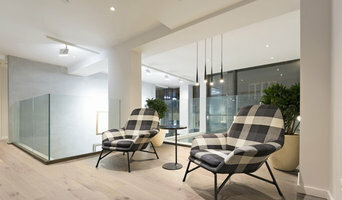 Quality products and quality installation set us apart in the floor covering industry. Carpet, Hardwood, LVT, Vinyl, Laminate, Tile, Natural Stone, Granite Slab, Solid Surface, Blinds, Area Rugs and more! Abbey Carpet & Floor began in Tacoma Washington in 1959 by Don Lindgren serving Tacoma and Pierce County. In 1997 Don's son Barry Lindgren purchased the company and moved it to Puyallup to better serve the growing area of Puyallup and East Pierce County. In 1998 Abbey Carpet & Floor purchased the franchise rights for Puyallup and East Pierce County of Abbey Carpet. With the buying power of over 800 stores we are able to provide the highest quality products with competitive prices. 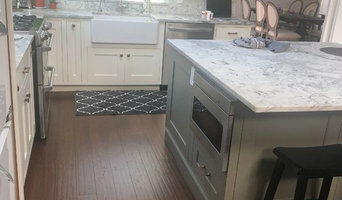 We are also experienced and trained to work with custom builders and re-modelers to serve their clients in choosing their fashions in flooring. With our professional installation teams we guarantee your new floors will be correctly installed in your home. With in-house Interior Designers, Expert Installations, and a beautiful full service showroom there is no need to go anywhere else to make your home beautiful. Experienced flooring retailers will know as much as an installer for what product is right for your Kent home. From hardwood floors to vinyl flooring and carpet, there are nearly as many surfaces to walk on as there are home styles to build. A pro can help to ensure that your Kent, WA home’s floors start off and stay in top form. Hire a Flooring Installation Contractor if your floor troubles are beyond the rug solution. From timber flooring to a laminate flooring installation, a specialist will take care of your sanding, polishing and floor covering needs. Look for a Flooring Installation contractor in Kent based on past work and referrals - all available on Houzz. Find a carpeting and flooring professional on Houzz. Narrow your search in the Professionals section of the website to Kent, WA carpeting and flooring. You can also look through Kent, WA photos to find examples of carpeting and flooring that you like, then contact the professional who worked on them.